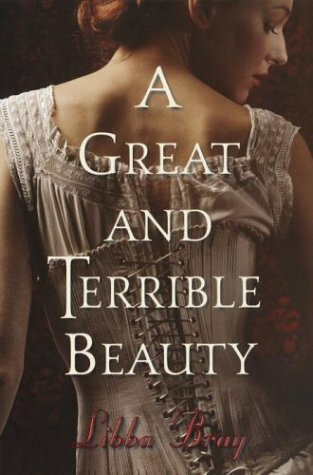 After reading A Great and Terrible Beauty, Libba Bray became one of my favorite authors. I absolutely adored this book, and raced through it. In fact, I got paper cuts from turning the pages so quickly. 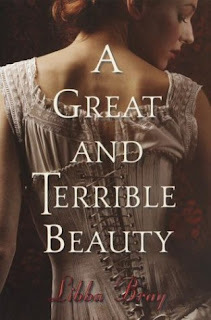 Gemma and her friends were interesting, and as a fan of historical fiction, I really appreciated all the time and effort and research Bray put into this book. She portrayed Victorian era England beautifully. I love strong female protagonists, and this book is chock full of them. Gemma, Ann, Felicity, and Pippa are tough, and only want to be free of the constraints of society and become independent women. Also, I love this cover. Corsets are my Achilles heel. Book looks good....Stopping back for a visit......just hopping by. I really loved this novel. It was creative, the characters were awesome and the plot was great. Bray's writing is beautiful and she does an awesome job blending the historical era with magic. So glad you loved it! I love this book/series so much! I'm actually thinking about rereading it because it was so good. I love anything set in Victorian Era England, and the fantasy was so great too.